Fancy a night out in London with no big crowds or queues? Oh, and did we mention it’s on water? This fabulous Thames cruise is sure to provide you with a great night out; London sights, a live singer, food, drink and a great atmosphere- what more could you want? The showboat dinner cruise includes all of the above, and is the perfect way to experience London’s evening atmosphere. As you step on-board, you will be given a complimentary glass of champagne to get you in the party atmosphere. 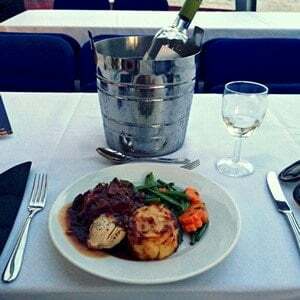 You’ll then begin your four course meal as you cruise under Tower Bridge, whilst a live singer on-board creates a energetic musical atmosphere. 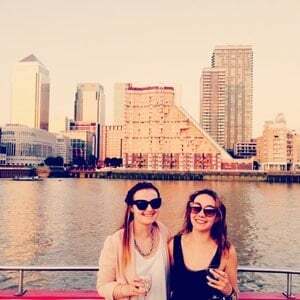 Your ticket will also include half a bottle of wine per person, which you can sip as you take in the sights of Canary Wharf and Greenwich form the water. With the cruise lasting 3 and half hours, you’ll have time to hit the dance floor after desert, or explore the boat and its open-air deck; a great way to take in the magical city lights. With all this and more, the Showboat Dinner Cruise will provide you with a fun night out in London, without any of the stress! Showboat Cruises run daily, throughout the year (except 19th-25th Dec, and 30th-31st Dec). Any disabilities must be disclosed at the time of booking. All passengers on dining cruises must be physically able to walk on to the boats with an able bodied helper and unfortunately no electronic wheelchairs are permitted. Departing from Westminster Pier at 19:45, the cruise lasts approximately 3 hours. You will return to the pier by 22:45. 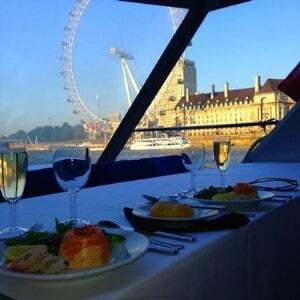 Participants: The Showboat Dinner Cruise on the Thames for Two is for 2 participants. This experience is for two participants. The Showboat Dinner Cruise dress code is smart. This experience is not affected by weather conditions as you will dine inside. This made for a wonderful evening for me and my girlfriends. The evening began with some entertainment, whilst we tucked into food. Later in the night we all got up and had a boogie. 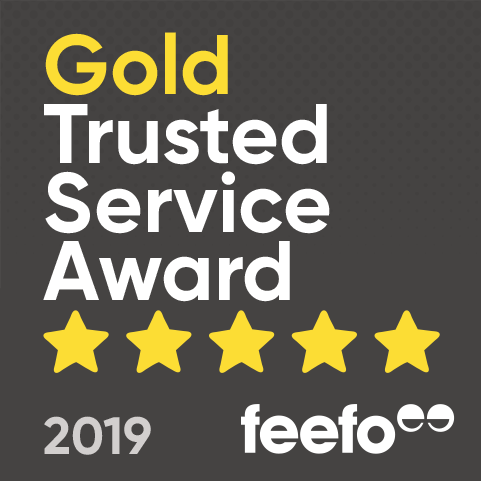 I would definitely recommend this experience, it was great fun! This Cruise down the Thames was a delight! The food was great and the evening entertainment was a brilliant end to the cruise. City Cruises kindly invited us to their Showboat Thames River Night. The evening was truly magical with a full four course dinner, live music from city starlets and some truly spectacular views of London that can only be appreciated from the river. Evie and I caught the cruise boat from Westminster Pier at 7.45pm, which is located a stone’s throw away from London’s most famous landmarks: Big Ben and the London Eye. Evie and I stepped on board to be greeted with a complimentary glass of sparkling wine, feeling almost as glamorous as Fergie we were lead to our seats to start our first course. 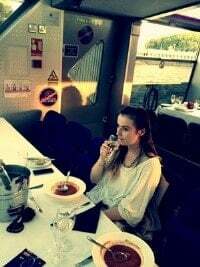 The dining room was spacious and elegantly decorated with tables aligned to face the bow of the boat, with panoramic windows surrounding the vessel. I felt a new charm of London that made me want to immediately purchase an ‘I Heart London’ t-shirt. The first course of our meal seemed to be prepared by fishmonger architects as a salmon mousse construction with king prawn scaffolding was laid out before us in a garden of Mesclun salad. Shortly followed by a tomato, roast pepper and basil soup that would rival those of Mr. Heinz! The sights of London glided past us accompanied by a soundtrack of show-stopping tunes from a live singer. Sipping on some crisp white wine, a main course that put my previous Sunday dinners to shame was served. This delicious meal consisted of roasted supreme of chicken wrapped in Parma ham, served with dauphinoise potato and mushroom with thyme and red wine sauce and seasonal vegetables. As we drifted past Canary Wharf and Greenwich, we decided to see what life was like outside our vessel and wandered to the upper deck. Greeted with a wide panned view of London and a cool breeze that gave that natural ‘windswept look’, we had the perfect photo opportunity. We then watched London at its finest postcard moment, as the sun began to set on a silhouette of the city’s skyline. Arriving at Thames Barrier we decided to make our seemingly (much to the staffs delight) romantic date slightly sweeter, with a dessert of a white, dark and milk chocolate truffle cake with raspberry sauce. Complimented with tea and coffee alongside chocolate mints, we sat back as the all singing and all dancing entertainer performed her second half of the show. Following in her jazz shoes, guests had the chance to hit the dance floor as we travelled back to port. Overall, the evening was a real enchantment. I would highly recommend this experience in celebrating any special occasion or excuse you may have to board an evening of showbiz luxury.